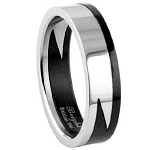 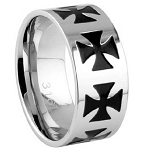 Display the depth of your love with this unique men's stainless steel ring. 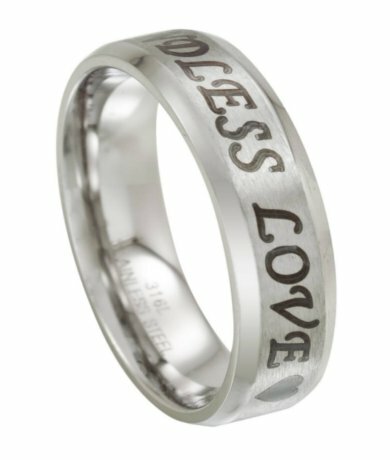 This 6mm wide love ring features a satin finish center band laser engraved with the words "ENDLESS LOVE" in black lettering and accentuated with hearts at either side of the text. 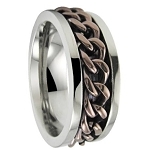 Polished beveled edges and a comfort fit interior complete this 316L surgical steel ring.